Home KillaJoule Category	WHAT IS KILLAJOULE? KillaJoule is the world’s fastest electric motorcycle with a top speed of 270 mph (434 km/h) so far. Builder, owner, and rider is Eva Håkansson. The only purpose of this 19 ft. (5.6 meter), 400 HP, sleek motorcycle is to show that eco-friendly can be fast and enviable. You can read the entire story how KillaJoule came to be here. 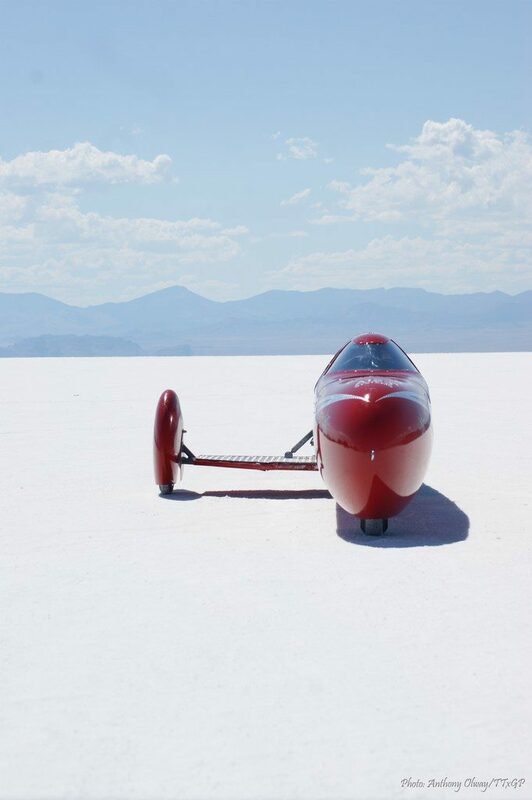 Body: Fiberglass composite nosecone, canopy and sidecar wheel cover made by Nova Kinetics Aerosystems in Flagstaff, AZ. Body panels of pre-painted aluminum from ALRECO. Pit crew: Mike Stockert, Alicia Kelly, Kent Singleton, and Steve Lovell. Current record (as of August 2016): World’s fastest electric motorcycle and the world’s fastest sidecar motorcycle @ 248.746 mph (400.2 km/h) (pending FIM ratification). Complete list of records here. It is also the world’s 4th fastest battery-powered vehicle (higher records were set by the cars White Lightning and Buckeye Bullet 1 and 2.5). Registered top speed: Currently 270.224 mph (as of September 2014). 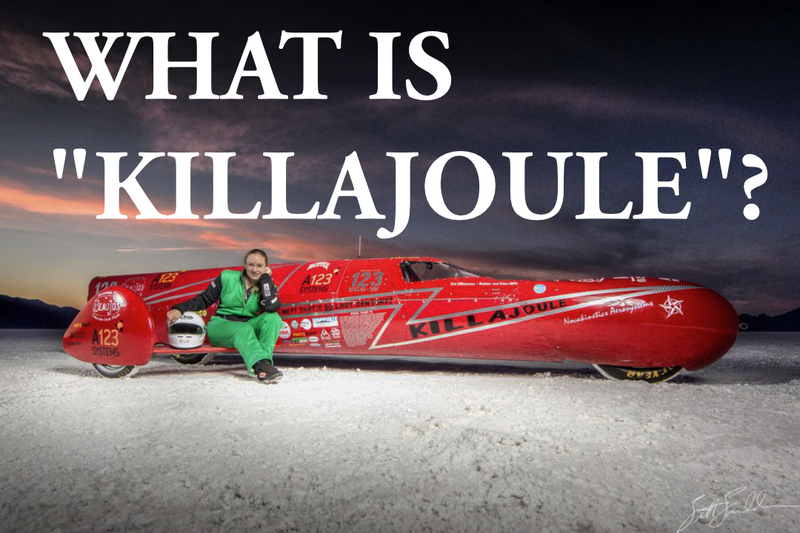 The KillaJoule is according to international competition rules classified as a “sidecar streamliner motorcycle”. It has three wheels and very small frontal area. Photo by Anthony Olway/TTxGP.